Longtime Bakersfield College coach, Lorenzo Alvarez, is running for Area 2 Kern Community College District Board of Trustee’s member this coming November election. Coach Lorenzo Alvarez Gives his speech a campaign fundraiser at Luigi’s restaurant. Coach Alvarez held a Fundraiser at Luigi’s Warehouse in East Bakersfield on September 18. The crowd of supporters and visitors mingled and ate as they waited for Alvarez to give his speech. Dr. Bill Baker, the former football team doctor at BC, attended the dinner that night in full support of Alvarez. 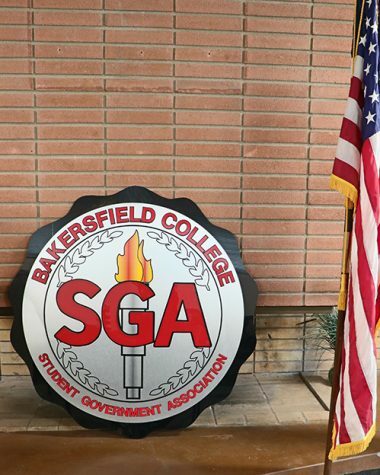 He praised Alvarez as a “true blue Bakersfield Renegade,” adding that Alvarez is a man with high credentials and an understanding of the needs of Bakersfield College students. “If that doesn’t qualify you for this position, then I don’t know what does,” Baker said. 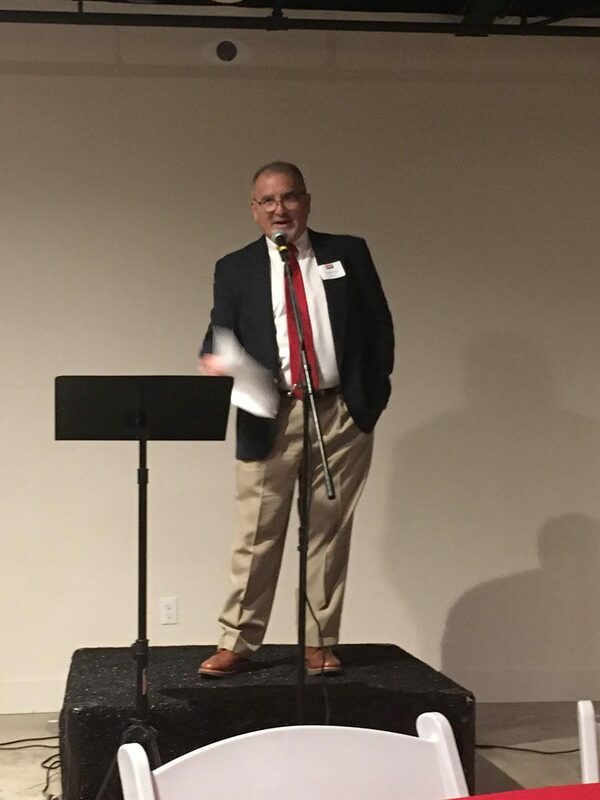 Once atop the podium, Alvarez thanked the guests and his family for their support and encouragement in his decision to run for this position. As a child of migrant parents, Alvarez grew up working in the agricultural fields. He found a chance at something new with sports, running track in high school and playing football into his college years. Afterward, he graduated from Porterville College and moved to Bakersfield where he joined the police department. Alvarez discussed his commitment to the Bakersfield, Cerro Coso and Porterville College communities, bringing up his plans for the college if elected board member. He emphasized the importance of managing funding and timing for the school’s various projects. In 2016, the school was granted a $502.8 million-dollar bond through measure J. The money from which is being put to use in the renovation of parking lots and construction of several buildings around campus. Alvarez wants to ensure the projects get done at a time and pace that does not interfere with regular student activities. 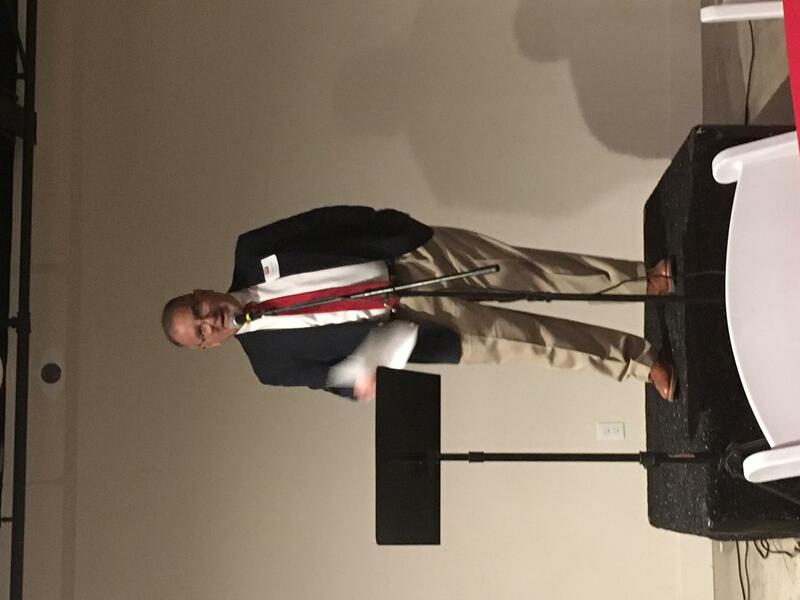 Current BC football coach Jeff Chudy spoke at the event as well, going over the needs of the coaches and BC athletes.